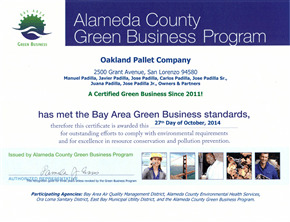 Oakland Pallet is California's first pallet company to be recognized as a Green Business by ABAGwww.greenbiz.ca.gov . We at OPC are committed to protecting the environment through conservation, upcycling and striving toward sustainability. Oakland Pallet has different measures in place to recover and downcycle a variety of materials including cardboard, plastic, metal and wood. Through these processes we were able to recover over 600,000 cubic yards last year. 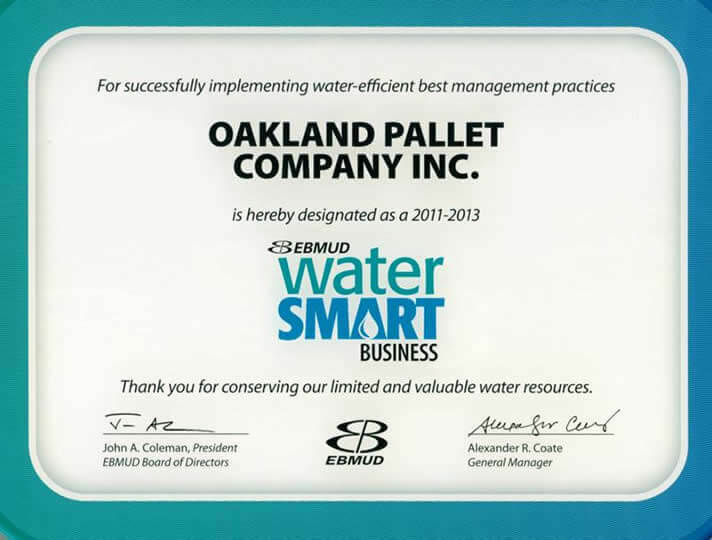 Oakland Pallet makes it a priority to continually search for improvements that will reduce its environmental footprint while maintaining an ability to deliver superior products and services to customers. This commitment to providing the best quality pallet solutions that are also more sustainable is equally important to our customers – allowing them to claim less environmental impact. 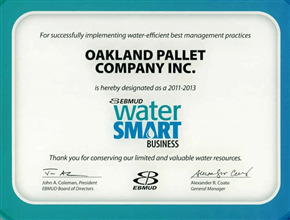 Beyond the environment and our customers, Oakland Pallet embraces its role as part of a larger corporate and social community, and sees it as crucial to any corporate striving toward sustainability. 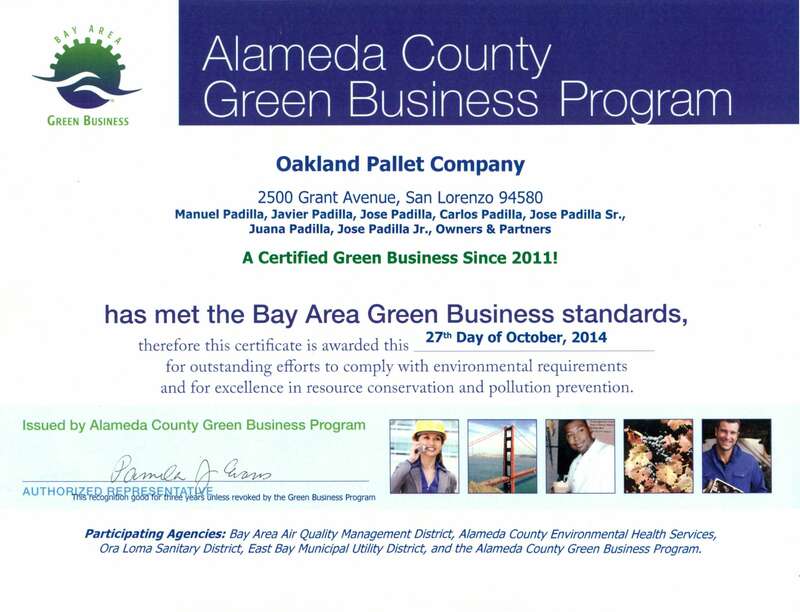 Oakland Pallet is an advocate of high-performance and sustainable production, and thereby supports both the business and local community through active participation in key organizations, ethical procurement, supply chain management and social responsibility.